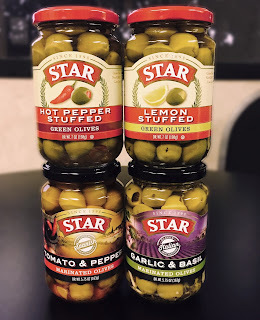 Oh my Goodness...I have discovered this new line up of olives from Star Fine Foods recently and they've opened a whole new world of recipe ideas. 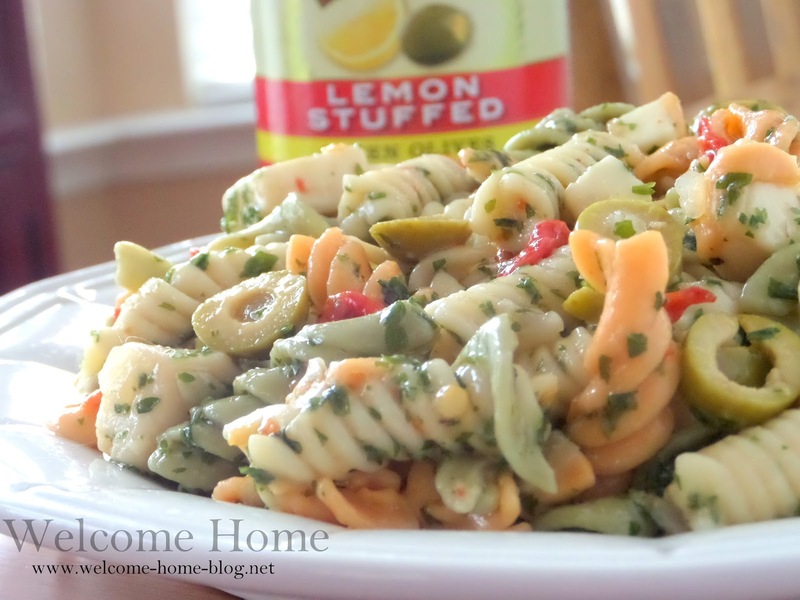 Like the ones I used for my Tri-Color Pasta salad. 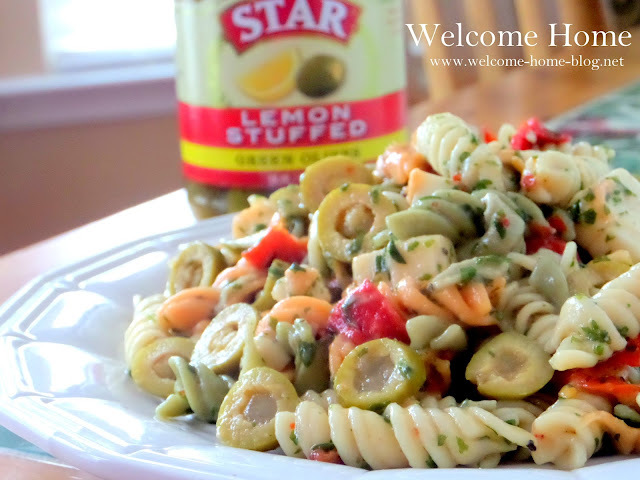 I took a classic recipe and brought it to life with Star's new Lemon Stuffed Olives. Oh what a difference. These olives have such a bright essence of citrus and give this salad a fresh and lemony taste that makes it just awesome! Bring a large pot of water to boil. Add about 2 tablespoons of salt. Add pasta and cook until al dente. Drain in a colander and transfer to a large bowl to cool. In a small bowl, whisk together the olive oil, and vinegar. Add in the vinegar, fresh basil, oregano and salt and pepper and sugar and mix until blended. Set aside for about 10 minutes. Once the pasta has cooled, add the cheese, red pepper, and olives and gently toss. Pour dressing over salad and toss gently. 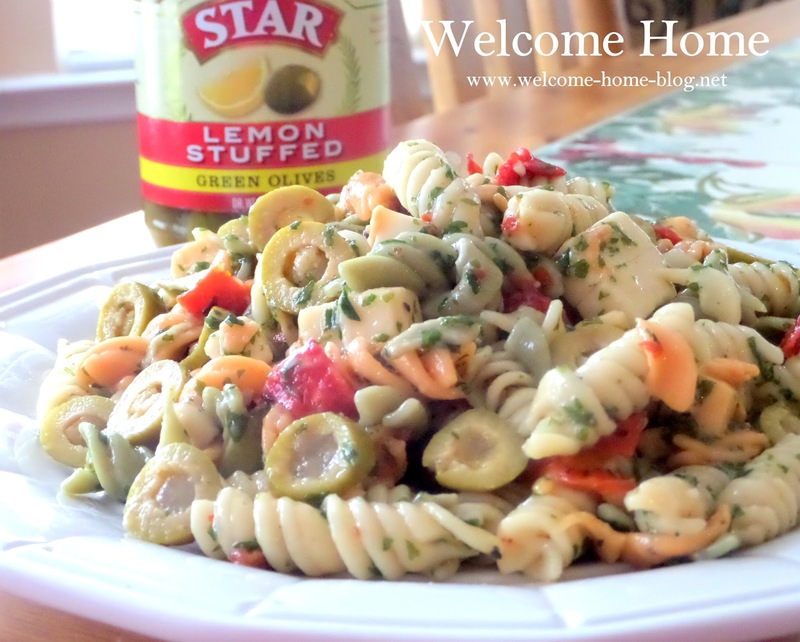 If you need to add more olive oil to moisten the pasta, add about a teaspoon or two at a time. Add salt and pepper to taste. Serve and enjoy! 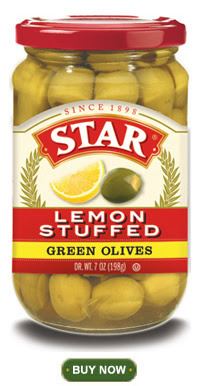 Lemon Stuffed Olives are available at Save Mart, Nob Hill, Raley’s and Lucky stores and online at http://bit.ly/LemonStuffedOlives. So far I've tried Star's new Hot Pepper Stuff Olives, the new Flavor Destinations Italian Garlic and Basil Marinated Olives, the new Flavor Destinations Spanish (Tomato & Peppers) Marinated Olives, and of course the new Lemon Stuffed Olives.